The writer is a former IG police. The question many are asking these days is: ‘Who is running the country?’ The political headquarters of the federal government in ‘Punjab House’ from where a disqualified former prime minister is calling the shots or GHQ? The answer lies in who said what recently. An annoyed interior minister said, “we will not let anybody challenge the writ of the civilian government and there cannot be a state within a state”, after being denied entry to an accountability court by the Rangers. As their boss and minister in charge, he was furious. His remarks were based on the fact that the Rangers are deployed by the government in aid of the capital city’s civil administration. They draw their internal security allowance from the interior ministry’s budget. They are supposed to be deployed by the chief commissioner, or his deputy, of the capital administration and work with the police in counterterrorism, patrolling and maintaining law and order when called upon to do so. The minister is on a strong footing as far as the Constitution and the law are concerned. However, he knows that the military and civil armed forces under the command of serving army officers follow the praetorian rule of law under their own chain of command. So, Mr Minister, please reflect on the conduct of your own ministry, civil administration and the capital city police department serving under you. Ask yourself why the Rangers appeared on the scene in the first place. Can’t you recall the chaos inside and outside the accountability court during the former prime minister’s first appearance? Some journalists were manhandled; a security breach could have resulted in a terrorist attack. Who failed to maintain order then? It was sensible of the SSP Operations to ask the deputy commissioner to deploy a Rangers contingent. The police appeared helpless against the show of political muscle by your party workers and even ministers. So, it was sensible of the SSP Operations, Islamabad Police, to ask the deputy commissioner to deploy a 200-strong Rangers contingent to help the local police maintain order. What was wrong with that written request? Who asked the DC not to accept the request of the police for additional force? Did the chief commissioner consult you before turning down the police demand? If so, why did you deny this facility to the police and court? The judge wanted foolproof security. He had been let down by the capital police at the previous hearing. Did you want to browbeat the judge by a show of political force? The brazen attack on the Supreme Court by your colleagues and party workers in 1997 has not been forgotten. The SSP’s letter of requisition of Rangers was endorsed to the Rangers’ command in Islamabad. Shouldn’t the Rangers have been informed in time that the police request for their deployment had been turned down? The reasons should have been given. 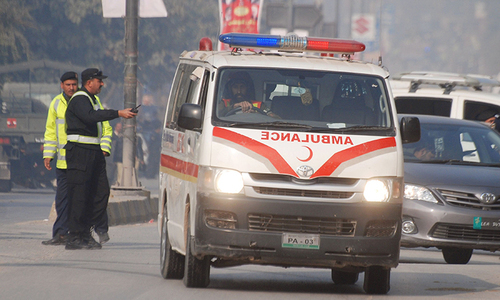 It was incumbent on interior ministry officials, the civil administration headed by the chief commissioner and the IG, capital police to properly coordinate and keep the contingent in reserve for any emergency. The accountability court judge reportedly said he did not order the Rangers’ deployment. However, in the court order of the day, he had words of appreciation for the civil armed force and the government for maintaining court decorum thanks to stringent security measures. The minister, instead of fuming, could have considered the lack of proper coordination between police, civil administration and Rangers. His outbursts and lack of effectiveness of the capital administration have led to an outcry among serving and retired police officers. The interior minister must ponder over what the Panjnad Rangers are doing in the capital instead of guarding the Punjab border with India. Successive military and civilian governments have contributed to the militarisation of internal security. A senior retired IGP Punjab pointed out the following: The politicians are not capable of comprehending the battle tactics of the military mindset and its internal and external war games. One of Ayub Khan’s first acts after imposing martial law in 1958 was to abolish the Punjab Border Police — a strike force at the disposal of the Punjab government to meet any emergency without depending on the army. No civilian federal or provincial government can help succumbing to military pressures and arm-twisting unless they have strong, well-equipped, well-trained strike forces of their own. Gen Zia disbanded the FSF for this very reason instead of remedying its shortcomings and preventing its misuse. The civil governments and senior police command, especially provincial IGs, must act jointly to reduce their dependence on the army and stop ‘Rangerisation’ for maintaining order. This would require strengthening and depoliticisng the police, preventing interference in its professional duties and making its command effective. Unfortunately, there are no signs of this in view of policymakers’ myopic and self-centred attitude. Another senior officer believes the politicians do not want the police at a level where they may face the same situation as with the Rangers recently. The interior minister should face these inconvenient truths. Can he send the Punjab Rangers back to the border? Like the proverbial camel in the tent, they are in the capital to stay. The Karachi and Quetta examples are before us. You asked for them in the capital and they did not need your permission to be deployed, civilian supremacy notwithstanding. What if the ‘fiasco’ of not allowing VIPs into the court had been due to police deployment, police officers wonder. Many heads would have rolled instantly without any formal probe. Let’s see what will happen to the army officers who deployed the Rangers without taking the minister’s permission. Please listen to a serving DIG police who says that civilian governments are short-sighted. They must invest in the police to develop the force into a neutral, law-compliant and operationally independent organisation which enjoys the public’s trust. This is the only way forward. Editorial: Who is in charge of Pakistan? Tariq Khosa, the writer of this article is a former IG, Police; Sounds like he’s a thorough professional and has a way with words too. He has virtually answered all questions relating to the Rangers Deployment in Islamabad when Nawaz Sharif & Associates were to appear before court for the second time after first time fiasco. Looks like Pakistan has it all in the way of what's needed and how to perform a given task. It’s just not blessed with one's genuine performance at the job. Not all, but majority seems that way, unfortunately. In total agreement with your views sir, Improvement in Police structure is immediate need of time, we must condemn the immature behavior of interior minister. Even without proper coordination rangers should have allowed the interior minister through. Why civilian gov. not want to make security departments independent? Mr Tariq Khosa is a fine retired officer. He should be appointed head of National Accountability Bureau. An excellent, candid and correct analysis . If only they have the capacity to understand and act on author's suggestions . 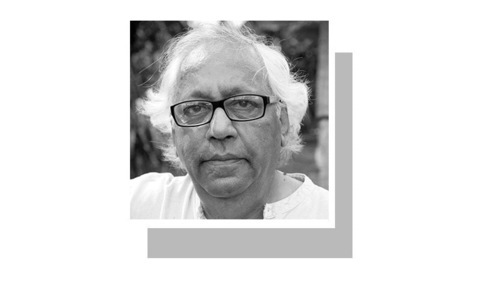 The police in Pakistan is perceived to be solely for the use of politicians and the well connected. This thinking can only change if the force was drastically reformed and made autonomous as it should be. Until then it will always be thought of as a force used to keep the general populace subservient. Making Law officers serve the law impartially, without party-political interference is an ideal not shared by political parties. However, checks on balances on power, especially lethal power, must always be in place. The military must never, ever be deployed against its own citizens, that is a recipe for disaster. Why? The planners thought it was time, but then the back end said the logistics requirements are still being worked out. It will happen again once all arrangements are in place. Have patience. An open trial means one that shows justice being done. It is essential that media, ordinary citizens and those with a lawful interest in the case be allowed access without let or hindrance. Absolutely incorrect. Rangers don't randomly show up. Would they have said the same to bajwa or if a military core commander was aft the gate. This is naive analysis to justify the wrong if someone else and blame civilians. This time there was a list of approved personnel. Maybe rangers should hand checked the list. Please stop defending the wrongdoers. If it is not in your favour ...you can ask why rangers in the first place...i had asked this question when i was growing up. Why rangers in Sind in first place...wonder if it was their business interest or the control interest...It's not politically correct to say that you love one child more than you love your others. I love all of my kids, period, and they're all your favorites in different ways. But ask any parent who's been through some kind of crisis surrounding a child--a health scare, an academic snarl, an emotional problem--and we will tell you the truth. When something upends the equilibrium--when one child needs you more than the others--that imbalance becomes a black hole. You may never admit it out loud, but the one you love the most is the one who needs you more desperately than his siblings. What we really hope is that each child gets a turn. That we have deep enough reserves to be there for each of them, at different times. This article is attempting to diluting this incident and is sort of justifying the rangers going rogue by citing the problems of the police. The key questions still remain unanswered. Exactly who gave them the orders to deploy if the DC of Islamabad didn't. This article is trying to say that SSP was right in requesting the DC for rangers deployment and the DC didn't honour that request, but since the rangers deployment was 'the right thing to do' it doesn't matter if the break the chain of command and whosoever ordered their deployment doesn't really matter much as in the end the civilians are to be blamed for a weak police force and so they asked for it. Another part this article skips is why the media was expelled from the court? I am not ready to accept the writer of this article, a former IG, is naive enough to not be able to connect the very obvious dots at play here for the last few months. The interior ministry should stop all funding if rangers untill they recognize who their democratically elected boss is. There is an apparent differnce between acting in aid of civil admn, as provided in the law and constitution, and the complete take over by supplanting the civil admn.as was the case on 2nd October in the accountability court. Most of our commentators and media persons are bent upon creating a sort of confusion to appease the powers that be. Otherwise both the deployment of rangers and its conduct at the premises was not in line with relevant laws of the land. @Sajjad "The interior ministry should stop all funding if rangers untill they recognize who their democratically elected boss is." Are you asking the interior ministry to dismantle the rangers? If you don't fund the rangers, you won't have rangers. If they are satisfied with the police, send rangers back to the borders, and let the police do their job in the capital. You know they are not capable. @Aziz "This is naive analysis to justify the wrong if someone else and blame civilians." The blame on the civilians is that they are not capable to develop a civilian law and order force, without the help of the military. The rangers is supposed to be a border force independent of the military. Till now, the ministry of interior depends entirely on the military for the rangers. And now they increasingly depend on them for normal policing as well. Indirectly, they have handed over the entire law and order to the military, and blame them for interference. I didn't read the article but the heading is BANG ON .....and contains a lot of content and weight. @mithun Do we understand you correctly that if the minister was allowed in than rangers deployment would not have been an issue. Tariq Khosa was a fine officer with an impeccable public service record. 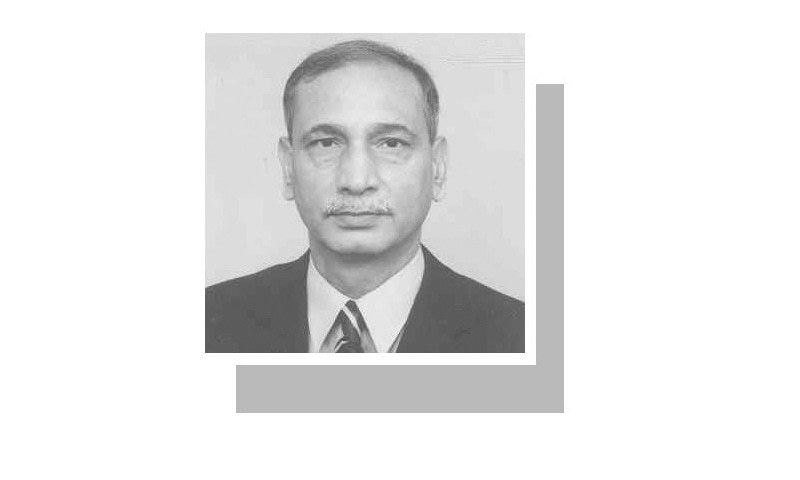 Mr. Tariq Khosa would make an outstanding Chairman of the NAB -only if the government and the opposition are serious about high integrity accountability in the country. The problem is that the politicians when ruling; use police as an instrument of personal power and misuse institutions for political and personal victimization which has created a big mess - rather chaos of governance. If the politicians wish to be respected as leaders, then they should be the first to accept the application of the rule of law on themselves and become disciplined role models for the others to follow. Use of the public owned facilities like the Punjab house, government vehicles and the Punjab police for the benefit and security of disgraced Nawaz Sharif who is a private citizen, was clearly not a good example of respect for public facilities and of the rule of law - What a sham of democracy indeed! Thanks for drawing true picture of the situation and your expert advices are need of the hour. Appreciated. Mr. Tariq Khosa is a professional police officer. Maintenance of law and order is purely police function. The history tells us that calling military or Rangers in aid of civil power is always expensive in terms of payments for internal security duty and yields temporary and short term relief. It is insane on the part of political leadership to invest huge money on account of IS duty and get insulted at the hands of the soldiers whom ISPR wants to be appreciated. " They must invest in the police to develop the force into a neutral, law-compliant and operationally independent organisation which enjoys the public’s trust. This is the only way forward". It is now editorial policy in newspapers like the New York Times for reporters and columnists to declare a personal interest in any subject they are writing about - relationship or friendship with any character involved in what they are writing about. Perhaps the News should consider introducing such a policy for the benefit of its readers. Absolutely ridiculous perspective. Peddling the argument that historic ineptness is reason for this turn of events is flawed to say the least. Law is Law. These matters need to be dealt with in isolation. This sort of thinking is exactly in line with what is wrong in this country. Two wrongs don't make a right. A very enjoyable article with sound reasoning and logic. Let us introduce institutional frameworks so we see less drama from everyone, especially the politicians. @mithun Why? no one is above the law and established procedure. Tariq Khosa’s article is woefully flawed. How can he defend role of Rangers? Granted they came in aid of civil power due to miscoordination how can you condone their taking over of court premises and denying access even to those issued valid passes? Having known him for being upright I was disappointed by his analysis justifying Rangers role. 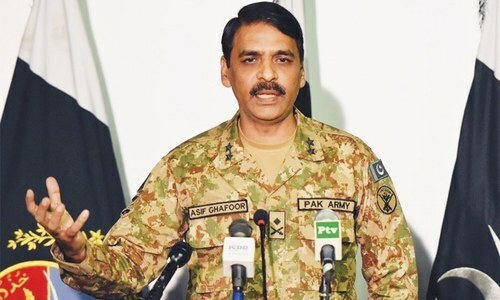 Just because whole Pakistan knows that who calls the shot in Pakistan, it does not mean that GHQ has the legal authority to do that or people of Pakistan endorsed its illegal actions. Commissioner of Islamabad or the SSP? Pakistan is no COAS Gen. Qamar Bajwa Colony. No one is above the law, that's all. The worthy interior minister should have thought before going berserk at the Rangers. Tariq Khosa needs to be hired as a Major General. He would be a good choice to be appointed as an ISPR Chief. Thank you for this thoughtful article. Pakistan has very thoughtful and civic-minded people but unfortunately, the governance structure (the ministers) delves into the management of society when it should be focussed on the governance of it. Strengthening the public institutions without political interference is the only way in the long run. This requires selfless pursuit of making the country strong for the common good by both politicians and non-politicians. It will require courage by non-politicians in high management positions to exercise their management authority without influence of politicians. If you continue to sleep together - someone is going to get hurt! @Aqib: A very good question which no politician is going to answer. All other institutions like NAB, IB and the FIA, PIA, Pakistan Railways etc should be independent. I support the Interior minister action. Rangers illegal action should be condemned in the strongest possible terms. The answer to your question " who is running the country" is, no one. It is a free for all country and who so ever can get their hands on anything they get and run.There is a Military trying to prevent anarchy from happening. The writer is right that we need to develop a a police force which is respected by the public and is capable to tackle law and order situation. That is only possible when the Police commanders can stand-up to their civilian bosses who has no interest in the interest of the organisation. They come in politics to label themselves as Ministers/MNAs/MPAs and fatten their bank accounts. Though not perfect but KPK Police is an example to follow. Thanks for the honest journalism. As long as our law makers will believe that they are above the law, don't expect much change will occur! I hope this Interior Minister and others will not go to court because the protocol will be the same, NO Minister please. The Minister of Interior should try to understand what Mr.Khosa says.